I came, I saw, I tasted lots of good food & wine, but most of all I extended my writing skills, being pushed and challenged but also supported. Thanks Emma. 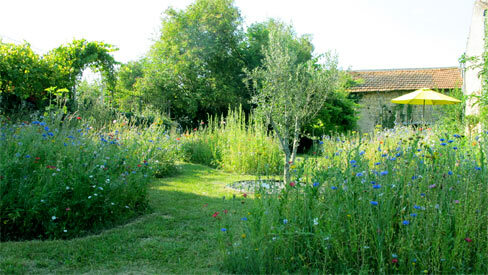 I am delighted to have been invited back to Circle of Missé this summer, having already spent many restful yet creatively fruitful weeks at this writing retreat in the Loire. From June 10th-16th I will teach a course called A Writer Progresses, which is designed for writers who have already started work on a book-length project. It’s a course I always especially enjoy because I get to meet so many committed writers and to immerse myself in so many fascinating works-in-progress. Best of all, I get to see ideas grow and confidence increase. You are a writer among writers here. All the tutors at Circle of Missé are also writers-in-residence, so we all spend some of our stay working on our own books. This makes it a creatively fertile place – the perfect combination of conversation and quiet. I feel very lucky to have Circle of Missé in my life. Would love to hear about writer’s program in Loire. I spent two wonderful weeks in Sancerre. I’m just starting on my novel but perhaps next year. Hopefully meet you in 2014!